What wastes are considered to be medical waste? Non-hazardous or general waste: waste that does not pose any particular biological, chemical, radioactive or physical hazard. Out of all the waste created by healthcare facilities, only about 15% is actually considered hazardous. This means that a facility could potentially be overpaying for a medical waste disposal system, simply due to over-classification of its waste. Each state has clear definitions for what materials qualify as hazardous, so it’s vital to an organization to clearly understand the expectations put before them when it comes to properly disposing of medical waste. To view any state’s regulatory requirements for medical waste disposal, click HERE. Disposed medical waste must be treated in a way that prevents the spread of possible pathogens. Obviously, it does not require sterilization, but it must be disposed of in a way that does not harm healthcare workers or the environment. Some biohazardous wastes carry harmful and infectious microorganisms that should not be released into the environment once the waste has been discarded. For that reason, these wastes are chemically disinfected prior to leaving a healthcare facility and being deposited in a landfill. This method requires a facility to have a full area dedicated solely to the treatment and disinfection of medical waste, as well as packaging solutions for the transportation of that waste. This method of medical waste disposal involves steam sterilization. According to the Center for Disease Control (CDC), exposure of the waste for up to 90 minutes at 250°F in a autoclave may be necessary to ensure an adequate decontamination cycle. After steam sterilization, the waste can be safely handled and discarded with all other nonhazardous solid waste. These wastes can then be incinerated, provided the incinerator is capable of burning these wastes completely and can stay within Environmental Protection Agency (EPA) emissions standards. Certain medical wastes such as sharps pose the greatest risk of injury to those involved with their disposal. 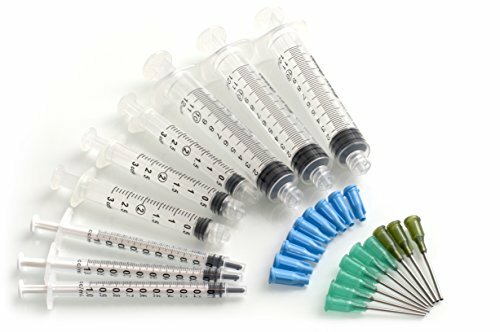 Many sharps (needles, scalpels, syringes, lancets, auto-injectors, etc.) end up in the trash or flushed down the toilet, as users are often unaware of the dangers of accidental needlesticks. Due to this high level of risk involved with accidental needlesticks, the U.S. Food and Drug Administration (FDA) has developed regulations for proper sharps disposal. Disposal containers must display a biohazardous symbol indicating that the material inside is hazardous. When a container is about 3/4 full, it must be disposed of properly at sharps collection sites or through the use of a mail-back program. Encapsulation of medical wastes can prevent healthcare facilities from spending money on expensive incineration or disinfection tools. Once waste has been encapsulated, it is sent off to a separate facility for treatment and disposal, eliminating the need for those solutions to be accomplished in-house. Medical waste disposal doesn’t have to be an expensive endeavor for any facility that handles bio-hazardous material. Mail-back systems can significantly minimize the cost of medical waste disposal. To find solutions for mail-back waste disposal, click HERE.